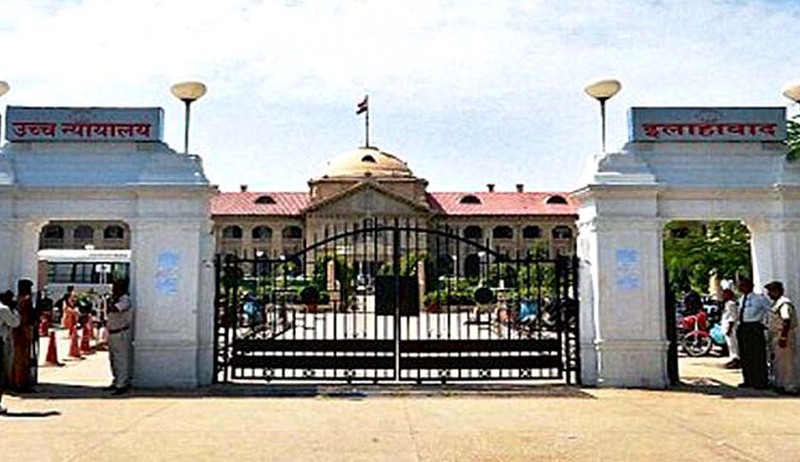 Allahabad High Court has dismissed a PIL filed by BJP spokesperson Indra Pal Singh for quashing the decision of the UP Government appointing a retired judge of the Allahabad High Court namely Justice Imtiaz Murtaza to hold the enquiry into the Jawaharbagh incident in which two police officers and several common citizens were murdered and to direct the government to appoint the commission headed by some judge well versed with the Hindu Dharma. The Court has imposed a cost of Rs.25,000/- for filing frivolous, mischievous petition filed for personal gains instituted at the behest of a person seeking publicity. The Court has also directed the Bar Council of Uttar Pradesh to initiate disciplinary proceedings against Advocate for the Petitioner, Sri Asok Pande for filing and drafting reckless petitions containing scandalous pleadings and being motivated by personal agenda to malign the persons holding constitutional positions which tantamount to misconduct unbecoming of a responsible legal practitioner which is violative of the provisions of Advocates Act, 1961 and the Rules framed there under. "a) To issue a writ of certiorari thereby quashing the decision of the state government dated 7/06/2016 thereby appointing a retired judge of the Allahabad High Court namely Sri Imtiaz Murtaza to hold the enquiry into the Jawaharbagh incident in which two police officers and several common citizens has been murdered after summoning the same and to direct the government to appoint the commission headed by some judge well versed with the Hindu Dharma. b) To issue a writ of mandamus thereby directing the respondents concerned to register the first information report against the police officers for committing the murder of several persons and to entrust the investigation of the said case to the Central Bureau of Investigation. c) Issue any other order or direction as this Hon'ble Court may deem fit in the circumstances of the case." Later the Petitioner has sought the permission of the Court to not press the relief no. (a). In the Petition it is averred that "the petitioner is praying for the quashing of the justice Imtiaz Murtaza Commission for the reason that the matter relates to a dispute with respect to a Hindu religious outfit and so it is improper to appoint a Muslim Judge to enquire into a purely religious matter related with Baba Jai Gurudev and so in place of Sri Imtiaz Murtaza, some judge well versed with Hindu culture and Dharma should be appointed to enquire the matter. The petitioner also want to change the head of the enquiry commission from Sri Imtiaz Murtaza to some another judge as it will be difficult for Sri Murtaza himself to understand the basic problem which is one of the reason of Ram Vrikchh Yadav coming to Mathura and staying there for more than 2 years in Jawahar Bag Park where the incident took place"
Advocate Asok Pande, who appeared for the petitioner contended that (i) the park (Jawahar Bagh) was not encroached but was occupied by the occupants upon permission obtained from the concerned authorities, though they had overstayed; (ii) satyagraha was peaceful, the satyagrahis were not assailants; (iii) criminal force was not used by the satyagrahis in attacking the police personnel; (iv) F.I.R. was not lodged against erring police officers for the murder of 32 persons; (v) the matter relates to a dispute with respect to a Hindu religious outfit, therefore, it is improper to appoint a Muslim Judge to enquire into a purely religious matter, (vi) under the garb of a direction issued by the High Court to evict the satyagrahis, the police could not have resorted to excessive force killing 32 civilians . Regarding the prayer for registration of FIR the Two Judge Bench comprising of Justices Narayan Shukla, Suneet Kumar has held that such a direction at this stage cannot be issued as the petitioner, under the Criminal Procedure Code (Cr.P.C. ), can himself lodge a F.I.R. or take recourse to the procedure prescribed therein by approaching the concerned Magistrate. A direction for which remedy is available under law would not generally be issued by the Court unless compelling circumstances in not registering the F.I.R. is pleaded and supported by documents showing the bonafide intention of the petitioner. “On reading the petition and the averments made therein, we have no doubt in holding that the petition which is styled as PIL is nothing but a camouflage to foster cheap and malicious publicity. It is not being disputed by the learned counsel, that the petitioner before the court is a political person and a busy body. The grievance of the petitioner is primarily the religion of the Judge appointed to head the Commission of Inquiry under Act, 1952. Such a pleading laid and pressed before a constitutional Court, admittedly, is against the constitutional scheme without any foundation and basis. Religion has not been assigned any role in the appointment of judges of commissions or for that matter for any office under the State, as such, the petition is not only malicious but has been filed with an ulterior motive which tantamounts to interfere not only with the judicial process but also goes to the root in questioning the constitutional scheme based on rule of law”. “As regards the conduct of Sri Asok Pande, learned counsel for the petitioner, it may be noted that a Division Bench of this Court in Hindu Personal Law Board Versus Union of India and others (Writ Petition No. 8216 (M/B) of 2016) vide order dated 19.04.2016 passed in a petition, filed in the nature of a PIL by Sri Pande in person, the Court admonished the conduct of Sri Pande and directed the Registry of this Court that each petition instituted by Sri Pande in person be accepted for filing, only if, it is accompanied by a demand draft of Rs. 25,000/-. “We are constrained to take notice of the fact that Sri Pande, a practicing lawyer of this Court, who has a standing at the Bar, however, since long has been indulging in reckless drafting, which is not only malicious and motivated but the conduct of the counsel is unbecoming of a legal practitioner which ultimately tantamounts to misconduct under the Advocates Act, 1961 (Act 1961). A professional duty includes the counseling to client, legal opinions, drafting, affidavits, pleading and participating in law conferences. The duty requires, the counsel to maintain the decorum of judicial proceedings, take great care and caution while drafting a petition without tarnishing the image of any institution, office, Judge or the Constitution. The averments made in para 19, which has been extracted hereinabove, would clearly indicate the reckless and causal approach of the learned counsel. The averments specially seeking a direction to appoint a commission headed by "some Judge well versed with the Hindu Dharma", further, "the persons who murdered Satyagrahies are not properly prosecuted and punished, it will ruin the basic fundamental right guaranteed by Article 19 of the Constitution and in any place in the country, if a Satyagrah or Dharna on a particular issue by a particular group may be a political party or religious outfit, will not suit the State Administration, the persons doing Satyagrah will be murdered in the name of police action and encounter." “Having considered the given facts and circumstances of the case, we are of the considered opinion that the petition styled as PIL is a frivolous, mischievous petition filed for personal gains instituted at the behest of a person seeking publicity, therefore, deserves to be dismissed with cost assessed at Rs. 25,000/- to be deposited by the petitioner with the Collector Lucknow within eight weeks from date, failing which, the District Magistrate, Lucknow shall recover the sum as arrears of land revenue from the petitioner Indra Pal Singh. The conduct of Sri Asok Pande in filing and drafting reckless petitions containing scandalous pleadings and being motivated by personal agenda to malign the persons holding constitutional positions tantamounts to misconduct unbecoming of a responsible legal practitioner which is violative of the provisions of Advocates Act, 1961 and the Rules framed thereunder. Having due regard to the contents of the plethora of petitions drafted and filed by Sri Pande and the averments made therein, we are, prima facie, of the opinion that Shri Pande is incorrigible. Despite strictures and orders passed against him by the Court on several occasions, Sri Pande has shown no remorse or regret, it would, therefore, be in the interest of justice that the matter be referred to the Bar Council of Uttar Pradesh to initiate disciplinary proceedings against Sri Pande to adjudge his suitability to continue practice as an Advocate. Registrar is, therefore, directed to send a copy of this order to the Chairman, Bar Council, U.P., Allahabad alongwith the order dated 19 April 2016 passed in Hindu Personal Law Board Versus Union of India and others (Writ Petition No. 8216 (M/B) of 2016) for compliance. It is expected that the Council would conclude the enquiry within three months from the date of service of this order provided Sri Pande cooperates with the enquiry. It will be open for the Council to consider as to whether the certificate to practice granted to Sri Pande needs to be suspended during enquiry”.